"Freeze, style police- we have Miu Miu Pistols and we aren't afraid to show them." Oh yes, the Miu Miu Pistol pumps have arrived on the scene, people, and they are everything we thought they would be and more. If you are looking for a serious statement this season, look no further, as throwing on these pistol pumps will cause quit a stir. Only, if you want to get your hands on the Miu Miu pistol flat you will have to be a quick draw as these little beauties are selling out fast. 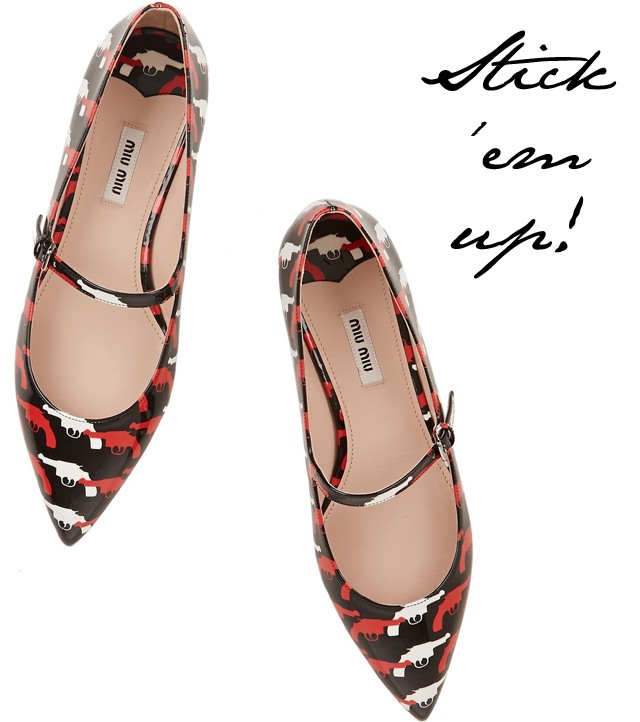 They're sure to be a hit at the shows this September, even if traditionally flats at fashion week are usually a no-no. But, we're thinking for Miu Miu, exceptions will be made.